This Association shall be known as the Chesapeake Bay Golf Club Ladies Association and shall be referred to as the “Association”. The objective of the Association shall be to promote interest and activity in women’s golf and its social functions. To hold tournaments, promote fellowship and sportsmanship; to learn and practice the rules and etiquette of the game of golf. Support the USGA and other state, sectional and local golf organizations with which the membership may choose to be affiliated. In order to become a member of the “Association” the applicant must pay annual dues and abide by the constitution and by-laws. 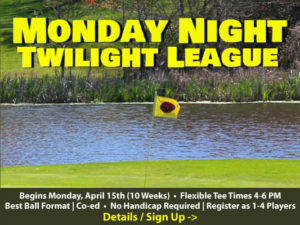 League and Association Members who have an established handicap will be eligible to play in the Tuesday and Saturday Leagues. The maximum handicap for league and tournament play shall be 40. USGA rules shall apply to league play and tournament play. Meetings shall be held monthly from April to November and special meetings may be called as required. General membership meetings will be held on Tuesday or Saturdays after golf at the course. The Executive Committee shall consist of the elected offers; namely President, Vice President, Secretary, Treasurer, Tournament Chairperson, Public Relations, and a DWGA Representative. The officers are to be elected at the closing lunch/dinner of the “Association”. The nominating committee shall provide ballots containing the names of the candidates nominated. All members are eligible for any office. Term of office shall be one year. Officers may serve a second year if elected, but not more than two consecutive terms. Three members in person shall constitute a quorum of the Executive Committee. Vice President: Shall, in the absence of the President, assume all duties of that office; and become President should the current residing President be unable to complete her term. Assist the President in fulfilling duties and goals of her office. The Vice President shall put together the season calendar of events, tournaments, and league play. 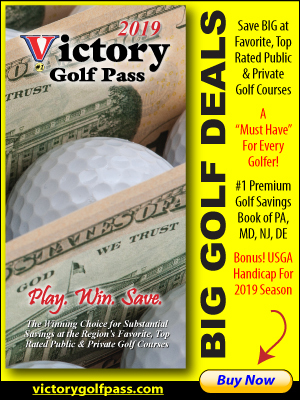 The Vice President shall coordinate so that Chesapeake events do not conflict with Chesapeake Bay Golf Club, MSGA, DWGA, WPGA and other local course events. The Vice President will coordinate the posting of documents to the Chesapeake Bay Golf Club website and to the DWGA and MSGA websites. Secretary: The Secretary shall keep a record of all meetings and shall give and serve notices and agendas of the meetings. She shall be responsible for and have charge of all official correspondence, files, records, papers, etc. She shall keep up to date a contact list of members, making sure that all members as well as the Club Pro are emailed updated lists.She shall present at each meeting a full report of all matters pertaining to the affairs of the “Association”. The Secretary shall be responsible for maintaining the Ringer Book, figuring year end Season Points and Payouts and keeping up the Birdie Tree. Treasurer: The Treasurer shall keep a full and accurate record of all money received and shall deposit same to the credit and in the name of the “Association” in such bank as designated by the Executive Committee. The Treasurer will be given authority to give and receive receipts for all monies due and payable to the “Association” for whatever source and to endorse on behalf of the “Association” all checks, drafts, notes, warrants, order etc. for payment of money. She shall present at each meeting a written report of the financial affairs of the “Association”, and publish a financial report at the closing meeting. Tournament Director: The Tournament Director is responsible for appointing a Chairperson for each tournament. The Tournament Director is responsible for supplying the Chairperson with the necessary paperwork and guidelines to promote each tournament. The Tournament Director is also responsible for maintaining the Tournament Book. Public Relations: The Public Relations appointee is responsible for promoting the Chesapeake Bay Golf Club Ladies events and tournaments as well as the Club itself. This appointee works to bring in new members, maintain current membership, and act as the point of contact and communicator on all things related to the Club, the Association and the Leagues. DWGA Representative: The DWGA Representative shall attend scheduled DWGA meetings and report back to the Executive Committee. The information shared will then be distributed to the general membership. Individual Tournaments: The Tournament Chairperson shall perform all duties incident to that event. She shall have the authority to select members to assist on her committee and reports directly to the Association Tournament Director. Tuesday and Saturday Leagues: Each Chairperson shall perform all duties incident to that office, including arrangements of weekly-organized play. She shall have the authority to appoint women to assist her when necessary. Any member may recommend amendments to the Constitution and By-Laws. Amendments may be made at any regular meeting of the “Association” by a two-thirds vote of all votes cast, provided written notice of the proposed revision has been given to each member at least ten (10) days in advance and posted on the bulletin board. USGA rules will apply for all play.